I was sad to receive a letter from your lawyerinstead of a return phone message. I did not realize that I had done anything illegal by pointing out the egregious error of your Board of Directors vote on Oct 5th., since you were not at the meeting, I wanted to make sure you understood my concerns. I have been asked by your lawyer to refrain from being in contact with you directly. 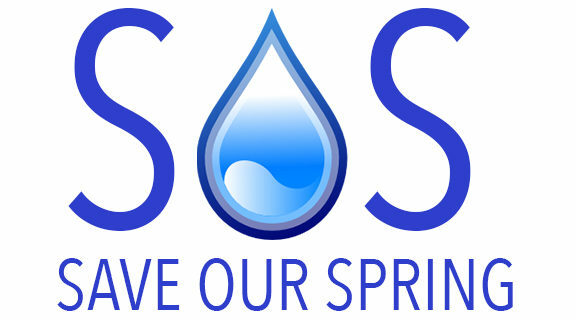 So instead of sending this to you or calling you, I will just post it right here on the SOS blog and hope you read it of your own accord, or that some kind soul might forward it to you, kind of like a Dear John letter, but Dear Lisa, because water is feminine. What I was rather hoping to show in that letter was that we women ought to stick together. What I think might have happened, is Lloyd lifted all public works restrictions on and around the area, and then I think he sold the Gore to the adjacent property owners while we were engaged in discussions to sell to the Spring Valley Veterans Homeowner Association. Our email discussions show that up until Sept 18thyou thought keeping the Ancaster Well in the hands of a reputable community group a good idea. Spring Valley did not hold their board meeting until after Sept 18th, and at that point it looks like the Gore that we were discussing had already been sold to the “adjacent property owner”, now it makes sense why Chris Krucker and Lloyd Ferguson were so against the Spring Valley offer, because if it had gone through their plan would have been exposed, do you think that could be why Jeff Evans city of Hamilton building inspector was told to discredit me at the meeting with a breach of privacy. Our communications show that not only were you told not to come to the Oct 5thboard meeting, you were also told not to come to the Spring Valley Veterans Homeowners meeting, (declined vote). To me that says whom ever told you not to attend, probably did not want you to be witness to what could be potential white collar criminal activity. It also shows that neither I or Mary Ann Bastien were party to any of these back-room dealings,and I am not accusing you of wrong doing as you were not present. I thought you were in charge over there, it must be a stressful thing to be railroaded by the patriarchy at every turn. Our investigation continues, could you please confirm, to whom the adjacent property owner is that Lloyd refers to in the Sept 17thon camera Public Works Meeting? 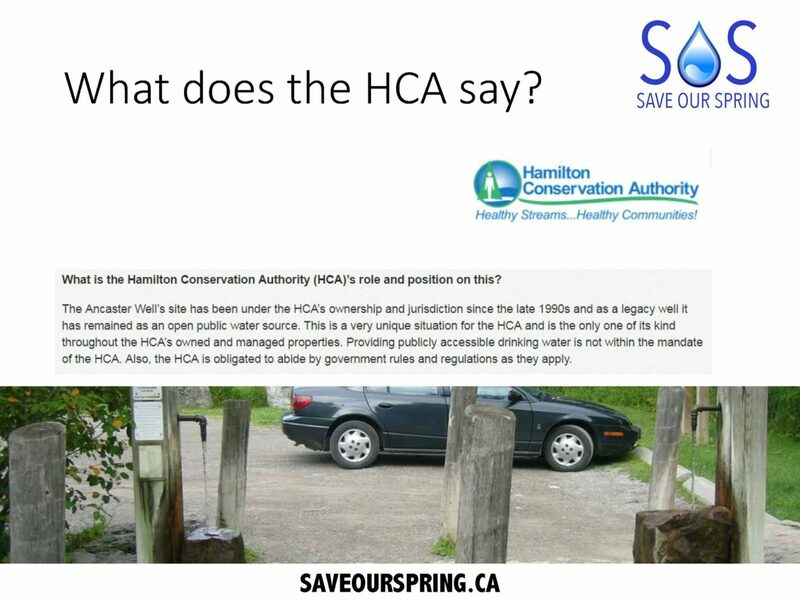 Also in the same Public Works Meeting – Lloyd Ferguson is seen on camera stating that he is waiting for the Health Report for the Well, he used that as his excuseto put off the delegation that could of prevented his plan to sell the Ancaster Well as a health hazard. Did you ever receive a health report and what is the current classification of the well and please confirm the current owner of “the gore”? Please do the right thing and put Conservation back as your mission and mandate. ← Feb 13 2019 – HCA response to SOS letter of Feb 5 2019.